"Grain Belt" redirects here. For the beer of the same name, see Grain Belt (beer). By 1950, 99% of corn has been grown from hybrids. ^ "Ecological Regions of North America: Toward a Common Perspective" (PDF). Commission for Environmental Cooperation. 1997. Retrieved 2018-02-26. 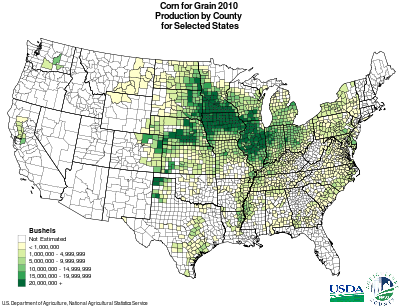 ^ "Ecoregion Maps and GIS Resources". United States Environmental Protection Agency. Retrieved 2008-04-10. Wikimedia Commons has media related to Maize.